I didn’t set out to hike 100 times in 2018, but I did and now I’m reflecting on what it all means. I’ve hiked fairly consistently over the past 10 years, but in 2018 I really put a huge focus on my outdoor activities. This all started on January 1st, when my husband James and I took a very cold, New Year’s Day hike at a park near our house. We then went to California a few weeks later, where we hiked nearly every day. At that point, I hadn’t even heard of the 52 Hike Challenge but I knew I was hiking a lot and I wanted to keep it up. After leaving sunny California, I needed something to keep my spirits up in the dreary Georgia winter. My focus on hiking lead me to develop a lot of new connections in my life. I also happened to be traveling a lot throughout the state of Georgia for my job, so any time I had free time after work I would go out and hike somewhere. I learned more about the state in 2018 than I did in the past 10 years I’ve lived here. 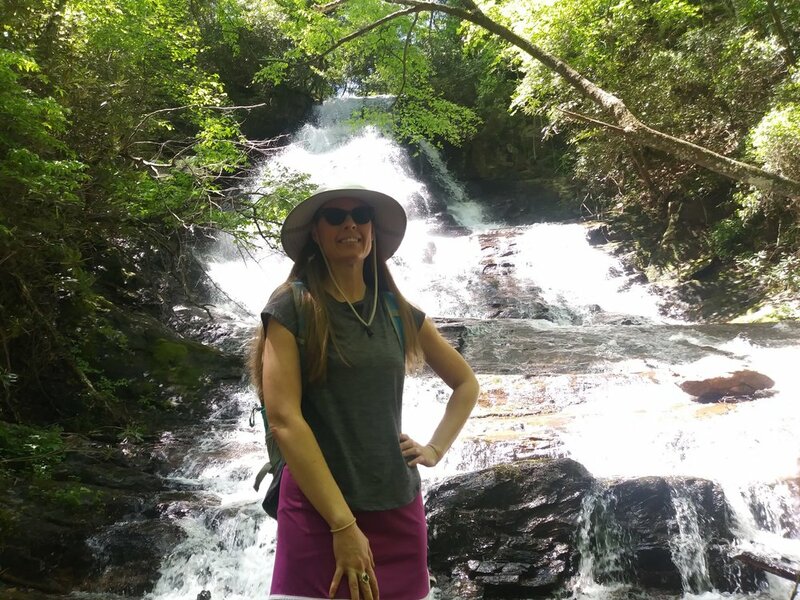 I joined Girls Who Hike in spring 2018 and became an ambassador for Atlanta Trails around the same time. And then it was like an avalanche- I couldn’t stop hiking. 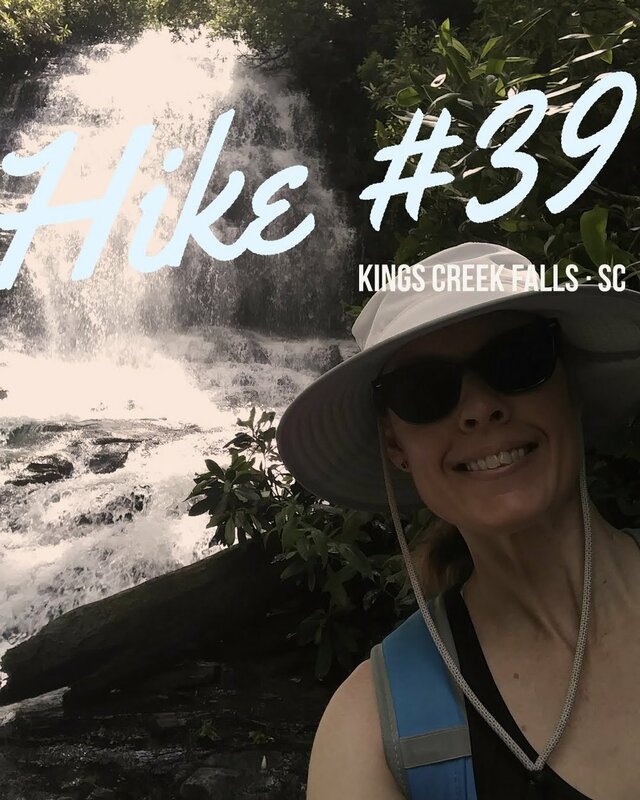 My husband James challenged me to hike 52 times by the end of June 2018 and that’s just what I did. For the record, James “only” hiked with me 38 times in 2018, but I enjoyed those hikes all the more. 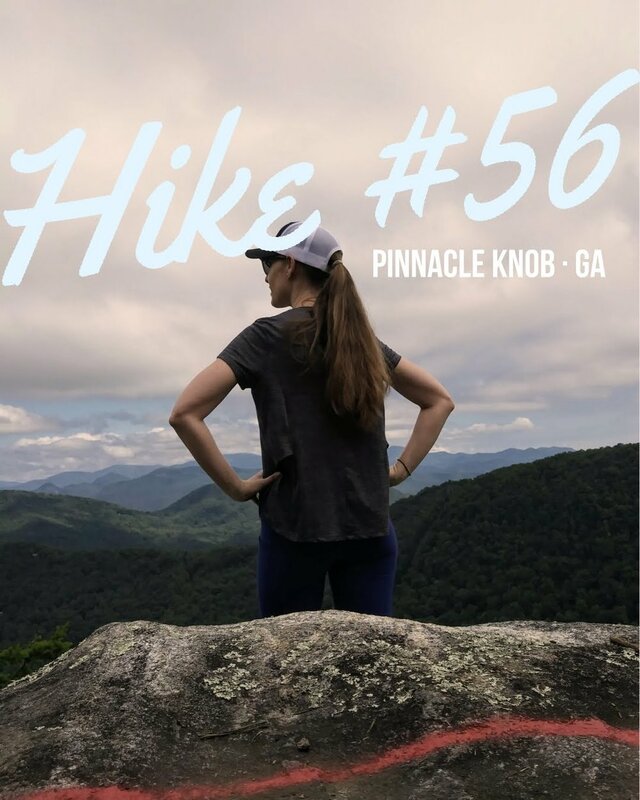 Throughout the rest of the year, I hiked nearly all my “bucket list” Georgia hikes and challenged myself to take on longer and more difficult hikes. I realized I could hike more than 10 miles in one day, which may not sound like a lot, but I was mentally stuck in the 5 mile day hike range for a long time prior to 2018. I hiked in all kinds of weather, when previously, I was a staunch “fair weather” hiker. 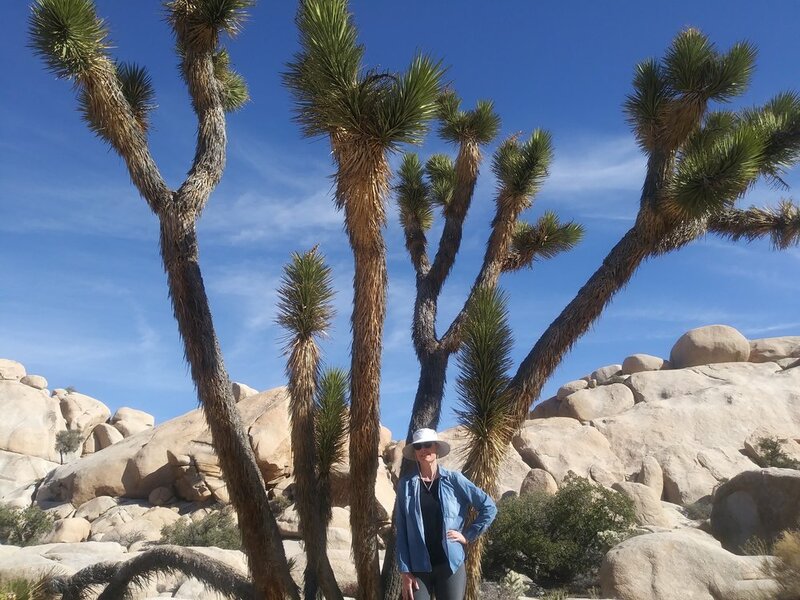 I hiked in some neighboring states, which opened my eyes to even more places I want to go in 2019. I also did a few overnight camping trips and will be putting a bigger emphasis on that in 2019 as well. The pictures in this post aren’t necessarily all the “marquis” hikes I did all year, but are representative of the wide variety of places I went and conditions I hiked in. And are obviously meant to highlight my very limited range of poses, love of the color turquoise, and the fact I didn’t lose my sunglasses all year! In looking at the places and types of hikes I did over the span of 2018, many were short hikes at local parks and preserves. As much as I’d love to be in the wilderness all the time, I work a completely indoors job 40+ hours a week. So I think the biggest takeaway for anyone reading this is, you can hike whenever and wherever possible. You don’t have to live in the mountains or travel all the time. It may take creative planning in other areas of life but spending time in fresh air has become a necessity for me. I plan my weekly chores, errands, and personal life in a way that will allow me to hike as often as possible. I finally understand the meaning of the phrase “Hiking is life; the rest is just details” (and would love a t-shirt with that saying on it hint, hint). All that said, I think in 2019 I will not focus so much on the number of hikes I do. Seeing that number, 100, did feel pretty impressive but the last thing I want is for hiking to feel like a chore or job. 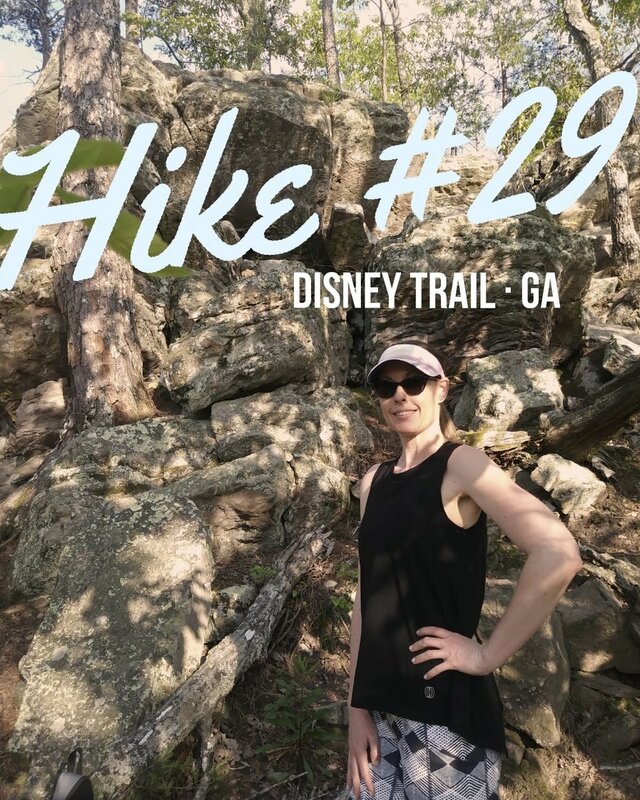 Toward the end of the year I started to really fixate on getting to 100 and stressing out over not hiking “enough”, even though the idea of hiking 100 times was just an arbitrary number I created for myself. The saying “quality over quantity” does somewhat apply, although every time I’m outside, it is quality time. I would also like to focus on further developing the relationships I’ve started this year. A month into 2019, I feel like I am well on my way. I never really make New Year’s Resolutions, but I do like to focus on things that are going well and continue them. If you are taking on a hiking challenge (or any challenge, for that matter), stick with it. A lot of January resolutions fade by February, which is why I am writing this now. I’ve also got some exciting hiking recaps to share soon. January started off with a bang!